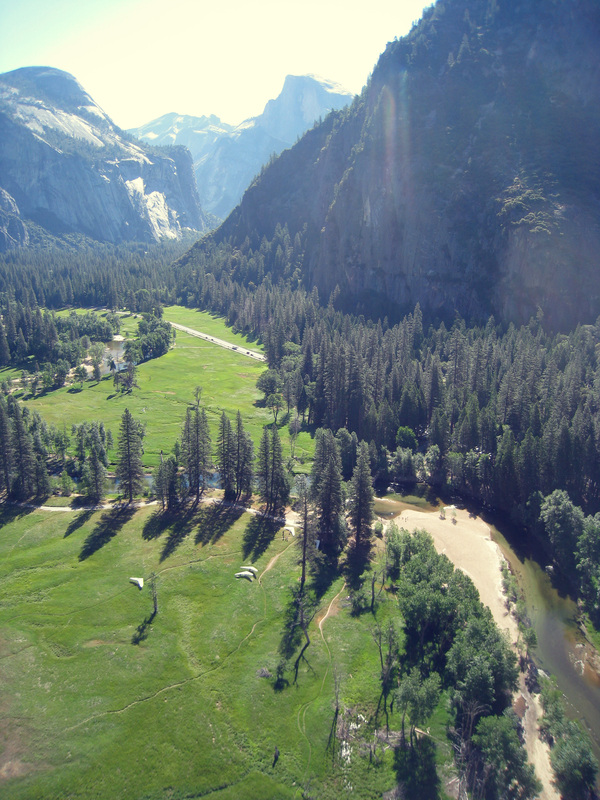 Pitter-patter of rubber soles running over coarse granite with the light jingle of aluminum bouncing along in unison and then whoosh, flying over one of the most picturesque landscapes that planet earth has to offer, hang gliding over Yosemite National Park. It’s a definite privilege to take part in such an activity in the park, since no other form of aviation is allowed in Yosemite. The only other way to see the park from the air, is to be injured enough to warrant the rescue helicopter. The highlight is definitely the launch off Glacier Point, that faces Half Dome, and then getting to fly past Yosemite Falls. Launch is at 7,200′ and the landing zone is at 4,000′ so everything is faster with the thinner air and requires more attention to launching and landing. Thanks to Chris Valley for monitoring that weekend, and to Eric Wiese for helping me retrieve the car! I shot this on the GoPro and the Canon 7D and I use the gorillapod as a mount on the keel. Hey bernie, I did get that message and thought I’d respond here. Yea, hang gliding and sky diving are two different beasts with their own appealing aspects. No doubt, sky diving is not flying, it is falling, no matter how you cut it, even with wingsuits, they are falling. Falling can be fun, but it is a limitation that hang gliding does not share on a soarable day. If given the choice in a day, I’d probably always go with hang gliding. From my experience in both sports, there’s just so much more to the sport of hang gliding.